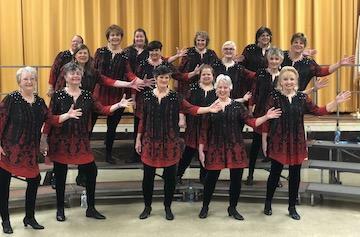 As we head off to the 2019 Sweet Adeline International Region 1 Competition in Springfield, Ma, we'd like to give all our friends and family a preview of the package we will be performing.. We'll perform our competition package and also will sing a few other songs. Refreshments will be served. Join us and root us on.